Lincolnshire covers a great swathe of green and pleasant countryside from lush, rolling farmland to the dead flatness of the fens, via peaceful waterways. Despite Lincolnshire's beauty, this is a lightly populated county, just sprinkled with old, stone market towns and little seaside resorts. The best places to stay in Lincolnshire include charming old coaching inns and country house hotels worthy of their own period drama. Top spots for exploring include the towns of Lincoln and Stamford, both of which provide a blend of quaint and chic places to stay with no shortage of activities for visitors of all interests. At one point, the tallest building in the world, Lincoln's centrally-located medieval Cathedral towers iconically against the city's skyline. If the exterior is impressive, the interior is simply breathtaking. Brace yourself for historical impact at the Lincolnshire Aviation Heritage Centre featuring historical juggernauts including a fully flying Lancaster bomber, alongside numerous memorabilia exhibitions. Visit a world of wealth and luxury in Belton House, star of the BBC's Jane Eyre and Pride and Prejudice - one of many stately manor homes in the county. Be entertained, educated and help with conservation efforts at Skegness' Natureland Seal Sanctuary aiming to rehabilitate orphaned and injured seal pups from Lincolnshire's beaches. Don't let the name mislead you though, as there are plenty of other exotic animals at the Sanctuary including Alpacas and Meercats. 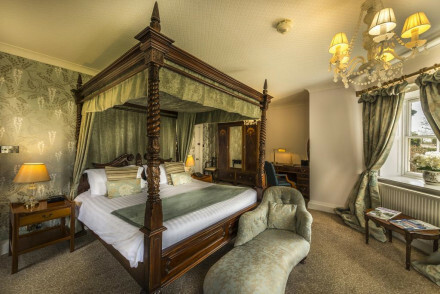 Our pick of the best places to stay in Lincolnshire are popular establishments, so we'd recommend you book early if you want to bag a bed in one of these. 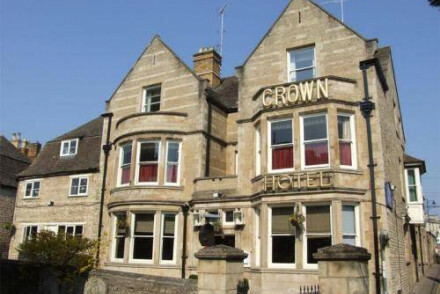 The Bull & Swan is an ancient coaching inn with just seven rooms in the charming market town of Stamford. The food is good and the rooms are more modern than you'd expect from the beautiful old facade. And you're on the grounds of the Burghley Estate, so it's just a short stroll to Burghley House. Also in Stamford, on the Burghley Estate, The William Cecil is a refurbished country house with decor that blends quirkiness and splendour for a shabby chic feel. Plus you'll find good food and new, young staff. Cosy and quirky. The Brownlow Arms is a charming country inn/ country pub with seven elegant, comfortable rooms in the picturesque village of Hough-on-the-Hill. The surrounding countryside is beautiful, and there are plenty of historic sights to see, plus the food alone is worth a visit. The Rest is a chic B&B providing a warm friendly welcome with bar and coffee house serving delicious snacks. Situated between Lincoln's gorgeous Cathedral and the Castle, it's ideally placed for making the most of this medieval historic city centre. If you'd prefer to have your own space to explore this tranquil county, we recommend visiting our online partner, Booking.com for anything from quaint cottages to townhouses. The main airport in Lincolnshire is Humberside Airport - although visitors to the South of the County may find it more convenient to use East Midlands Airport located in neighboring Nottinghamshire. The county is well-connected by rail routes with a spread of typically smaller stations - with the exception of major stations such as Lincoln Central. The best time of year to visit is during the warm Summer months: June-September. However with many historical attractions remaining open year-round, other times of year will still present a memorable, albeit colder experience. 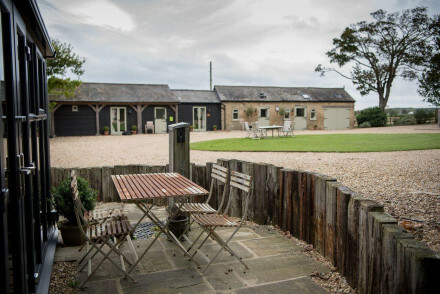 Set on a charming farm a few miles outside Lincoln, Lut's B&B is a great place to stay. Offering lovely rooms and hearty breakfasts, it's a great spot for a weekend away from the city. Great walks - Great walking routes in the surrounding countryside. Sights nearby - Within four miles of Lincoln's city centre. Fishing - Good pike fishing on the nearby Witham. 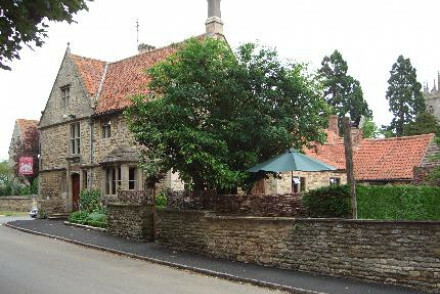 A charming country inn set in the picturesque Lincoln village of Hough-on-the-Hill. 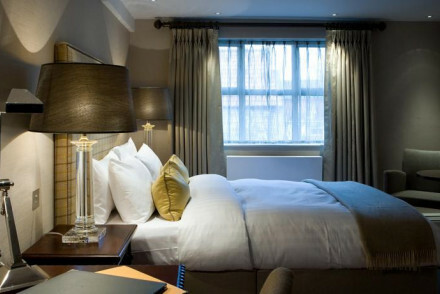 Elegant rooms have been sympathetically refurbished by the owners leaving a classic British pub feel. The surrounding countryside offers a host of historical sights. The food alone makes the pub well worth a visit. 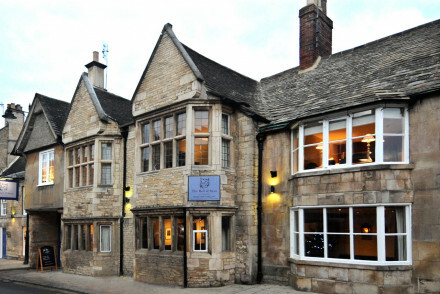 Nestled in Lincoln's magnificent historic quarter, The Old Palace is the original bishop's lodging now turned superb B&B. Each room carries its own individual charm and effortlessly blends period features with contemporary touches. A stlish stay close to the city's most historic sights. Sights nearby - Within two minutes walk of both city's most famous landmarks: the Cathedral and the Castle. Local markets - Browse Lincoln's nearby artists market. 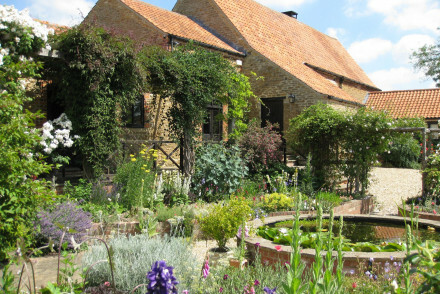 This 17th century B&B is set in the beautiful conservation village of Folkingham. Four beautiful, individually designed rooms and a sitting room in which to relax. Loyal to its origins with a fireplace and oak beams. An ideal country stay with activities and sights all within a short drive. Sights nearby - Country houses such as Burghley and Belton as well as many cathedrals and churches are in the local area. Great walks - There are many beautiful walking routes starting from the village. 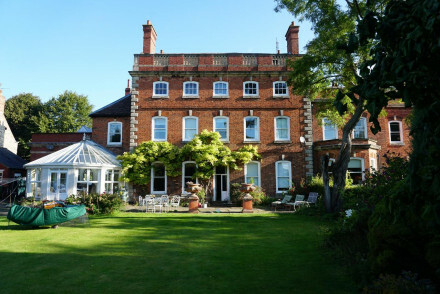 Set on a beautiful Victorian farm, The Grange is an delightful, intimate B&B. With welcoming hosts and two lovely rooms, it's perfect for a weekend in the countryside. Take lovely walks through the surrounding farmland or a enjoy a game of tennis. Sights nearby - Within easy reach of Lincoln and it's famous castle and cathedral. Great walks - Beautiful walking trail through the farm surroundings. Fishing - Trout fishing on the farms lake. Right in the heart of Lincoln, West Wing D'Isney Place offers smart, comfortable accomodation. Featuring an assortment of rooms as well as an exclusive apartment, the house offers kitchen facilities and a lovely garden. Local markets - If you are in town at Christmas, explore Lincoln's festive market. Sights nearby - Within ten minutes walk of both the Cathedral and the Caste. 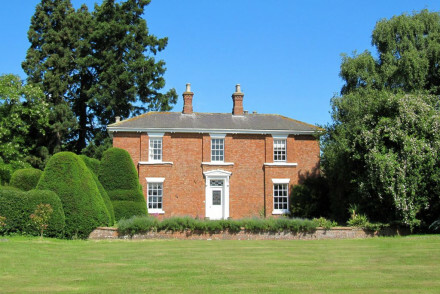 Charming and tranquil, Grayingham Lodge is a lovely B&B in rural Lincolnshire. The elegant rooms are simply decorated with comfortable furnishings and crisp, white colour schemes. A great base for exploring the surrounding area. Sights nearby - Take a day trip to Lincoln and visit the magnificent cathedral and castle. Local markets - Browse the antiques fair at Newark. 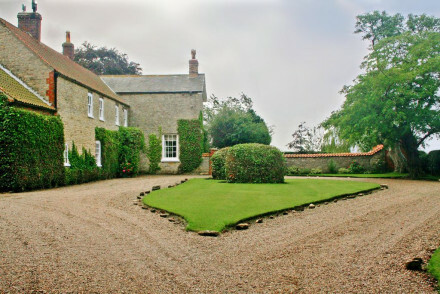 A boutique B&B offering superlative accommodation in a pretty part of Lincolnshire. Individually styled rooms are spacious and luxurious with antique furniture, fireplaces and rich hues. Indulgent breakfasts are served by former chef and owner and there's plenty to explore in the local area. 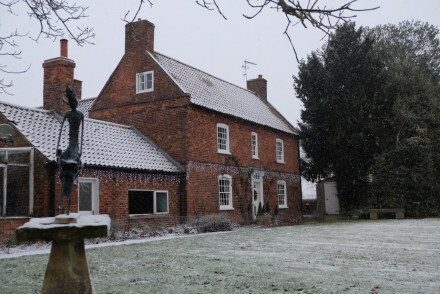 Local exploring - Perfectly located for you to explore the delights of rural Lincolnshire and beyond. Great walks - Take long walks in the picturesque nature reserves of Snipe Dales or Gibraler Point. Sights nearby - Visit the Bolingbroke Castle ruins dating back to 1220s. A rural idyll just a few miles from Lincoln city centre. 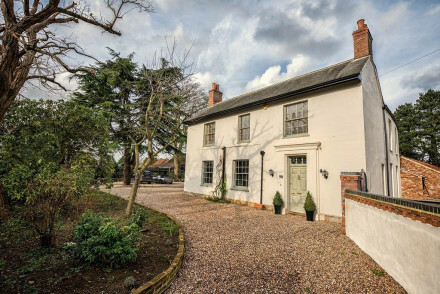 Awash with charm and character, Bridleway B&B features lovely rooms, excellent breakfasts and a whole load of farm animals. Sights nearby - Within easy reach of Lincoln and its famous castle and cathedral. 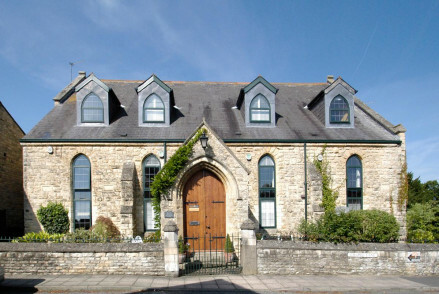 Set in a renovated 19th century Methodist chapel, the Chapel Guesthouse is a great B&B a few miles from Lincoln. 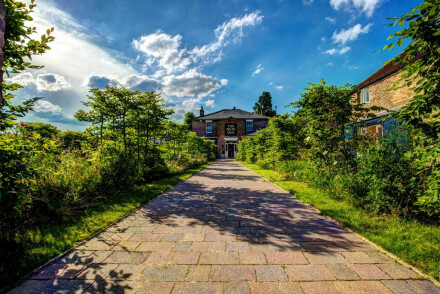 Boasting comfortable rooms and a spacious living room to relax in, the guesthouse is great for those looking for good value accommodation near Lincoln. Great walks - The surrounding countryside is full of excellent walking trails. Sights nearby - Four miles from central Lincoln and its famous sights. 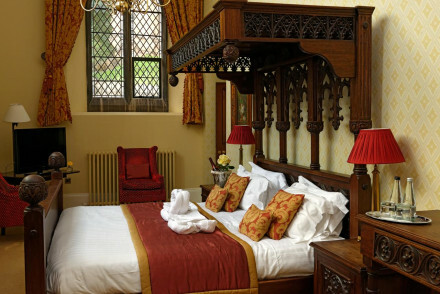 This swanky, refurbished, Grade II listed inn provides guests with luxurious, individually decorated rooms. Expect plush beds, art hangings and antique decor. Boasting beautiful natural surroundings and a lively, atmospheric pub and restaurant. 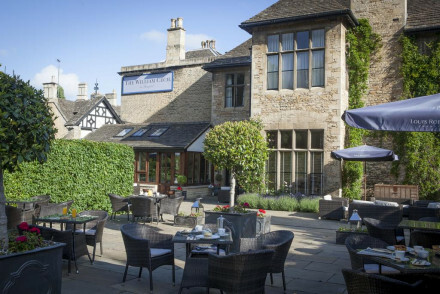 Ancient coaching inn of just seven rooms on the Burghley Estate in a charming market town. Good food and elegant bedrooms. A unique B&B and wedding venue brimming with as much charm as there are antiques. Each of the three individually styled rooms are light and airy with softly patterned wallpaper and beds featuring draped headboards.Private dining areas offer guests to host their own dinner party or event. Fabulous. Country Escape - A beautiful manor house filled with antiques in a beautiful part of rural Britain. 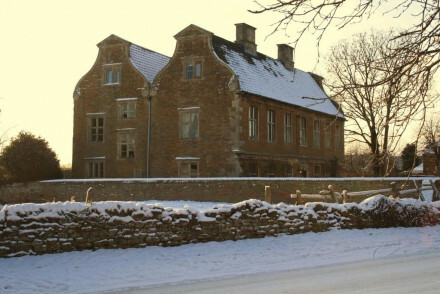 Weddings - Allington Manor is a unique venue for weddings, civil partnerships and receptions. Great walks - Enjoy long walks through the picturesque countryside. Sights nearby - Take a tour of the National Trust's Belton House. Spectacular family-run Georgian country manor. Twenty boutique rooms and suites, some featuring ornate four-poster beds. AA rosette winning restaurant serving locally sourced European cuisine. Great conference and wedding venue. Ideal for couples, explorers and outdoors enthusiasts. Sights nearby - Lincoln is home to its famous caste and cathedral. Local markets - Lincoln's Christmas Market should not be missed. Townhouse-style, boutique hotel in a great location for enjoying the city’s sights and shops without having to walk far. Sleek and unfussy rooms in modish shades of grey and silver with an excellent, and lively, bistro-style restaurant. Sights nearby - Within five minutes walk of both Lincoln Castle and Lincoln Cathedral of St. Mary. Local markets - Don't miss the festive Lincoln Christmas Market in December. 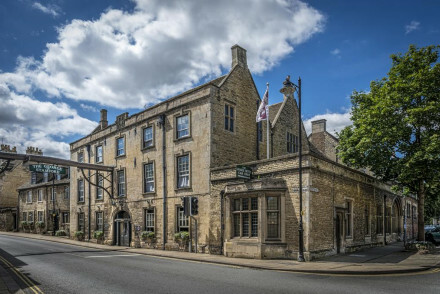 An old Coaching Inn located in the beautiful town of Stamford. Simply designed rooms have a traditional feel without being fussy - the best have free standing baths. A lively restaurant uses local produce to great effect. A warm, relaxed hotel ideal for a weekend exploring the region. Local exploring - Set in what is acclaimed to be one of Britain's most beautiful towns. Sights nearby - Take a tour of the nearby Burghley House and Sculpture Park. Great walks - Take picturesque walks in the surrounding countryside. Chic B&B providing a warm friendly welcome with Bar and coffee house serving delicious snacks. 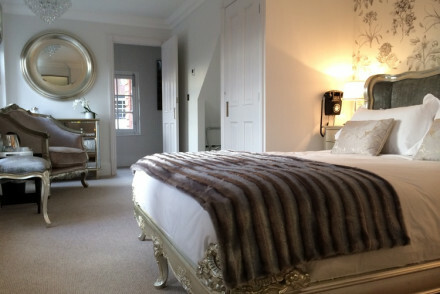 Situated between Lincoln's gorgeous Cathedral and the Castle. Ideal spot for making the most of this medieval historic city centre. Local markets - One of Europes most largest Christmas markets. A 2011 refurbishment of a small country house hotel on the Burghley House Estate, close to the A1. Shabby chic grafted onto good food and new, young staff. Cosy and quirky. An old Coaching Inn sitting in the heart of an historic English town. Individually styled rooms are traditionally dressed with patterned wallpaper, chintz fabrics and antique furniture. An atmospheric restaurant serves up hearty fare in the oak-panelled hall. A quintessentially British stay. Local exploring - A historic building located in one of Britain's finest towns. Sights nearby - Explore the pretty town taking in the charming Browne's Hospital almshouses founded in 1475. Great walks - Embark on a picturesque walk from the hotel to Burghley House.